I recently had the great honour of providing the gay wedding photography for Michelle and Tash’s ceremony at the London Dorchester. I knew that the penthouse suites would probably be quite nice at such a smart hotel, but I was blown away by the beautiful terrace overlooking London and the opulent setting of mirrors, chandelier and flowers. The day was a lovely, relaxed affair with lots of time for the family and guests to visit, soak up the sun and enjoy a truly British afternoon of champagne, tea, scones and martini’s. I knew that Michelle and Tash wanted natural, unobtrusive wedding photography, so I did my best to capture the little moments and details of the day as a wedding photojournalist. The reportage photography style suited the laughs, hugs, glances and refreshments, and of course, the magnificent setting and ambiance of love that radiated in the summer sunshine. Here are a few of my favourite photos of the day and few words on why I took and love them. 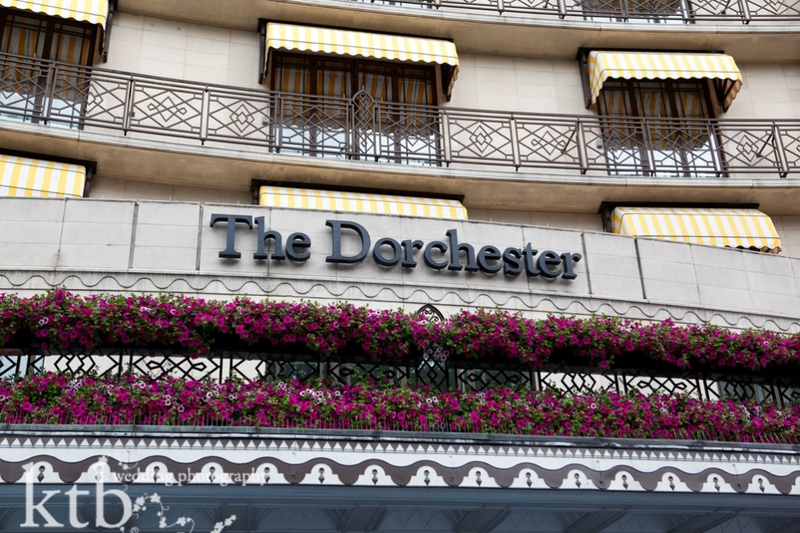 I love the blocks of hot pink flowers on a summer’s morning at London’s Dorchester. The lovely window light of the London Dorchester set the mood for the last few moments before the wedding where Tash downloaded music to her Iphone and checked her dress in the mirror. 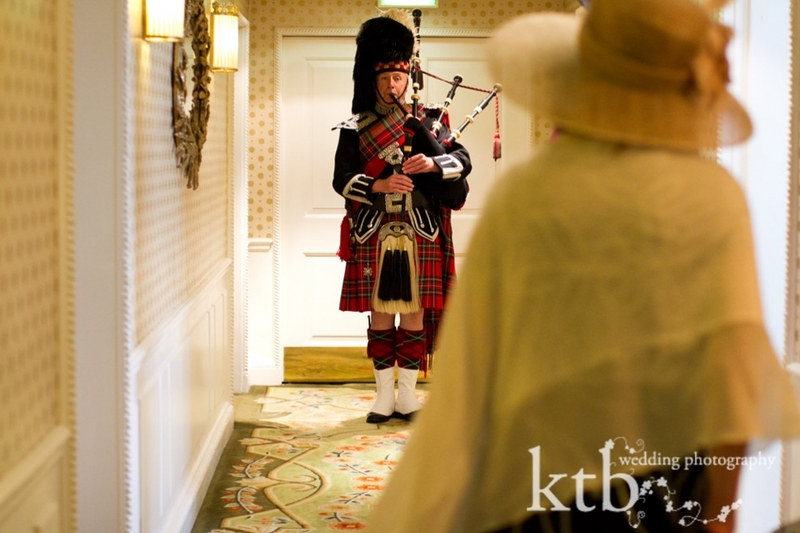 Nothing like a Scottish bagpiper in a small hotel hallway at the London Dorchester for a bit of an impact. 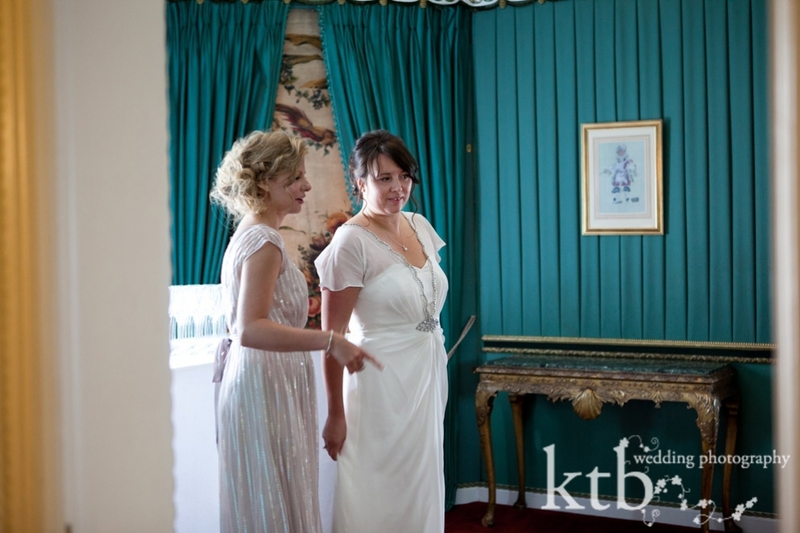 A photograph showing the registrar interviewing the ladies just before their wedding ceremony while Michelle looks beautiful. A happy sister is ready for the wedding. The ladies taking their wedding vows. I love how the ceremony at a gay wedding is the same now as all weddings, and the couple exchange wedding rings. You may now hug your bride! This is why I love wedding photography- no one can help but smile. Married at last – Mrs. and Mrs. in this happy wedding photo at the London Dorchester. I love mother daughter congratulations. Sweet, weepy mum. Champagne in the sunshine to toast make a very gay wedding! I love the way this guests is touching Tash. Natural photography and portraits of couples on their wedding day are the best. The happy, relaxed feel comes from my being a friendly, female myself. Elegant, beautiful, simple wedding portraits at the London Dorchester roof terrace. Reportage and and natural photography – no cheese allowed. The coolest gay wedding cake ever. White glove service for sandwiches at the London Dorchester. Tea time! Michelle sneaks a quick look at her new ring. Drinks in the afternoon sunshine. Shiny, happy guests. I love the golden light of afternoon sun in England. Oh no, I’ve been spotted by the brides! Michelle shows off her ring to delighted friends.